It's been a long time in the making and now it's finally to happen: Live concert by Johannes Schmoelling, Jerome Froese and Robert Waters performing an eclectic mix of classics from their solo and Tangerine Dream days as well as totally new material and some musical surprises. A new book Creative Effects: The Definitive Guide For Producers is now available for download and will be available in hard copy later this year. It offers over 200 pages of production secrets useful to both beginners and more experienced producers and sound designers alike. The book goes much further than simply explaining the functions of every control, and sets out to explore how these effects can be used for more creative possibilities. The sound of scissors dancing around your head or a bee flying in one of your ears and out the other. It must be 3D sound - but not just your usual surround sound experience. When not working on space rocket propellants at his day job at Princeton University, Lebanese born Professor Edgar Choueiri is hard at work pushing the whole experience of listening to the next level. Fans of Bruno Sanfilippo's beautiful and exquisitely sensitive music will be delighted by the launch of his latest studio album "Subliminal Pulse". Now you can keep abreast of the latest developments in electronic music with just a single key press with the free dashboard widget for Mac OSX. 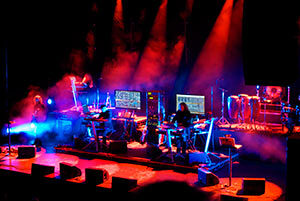 Tangerine Dream's rescheduled Starlight concert is now set for Friday June 24, 2011. The gig takes place in Tenerife as part of the Starmus Festival, a unique scientific, artistic and musical event. Tickets on sale now. 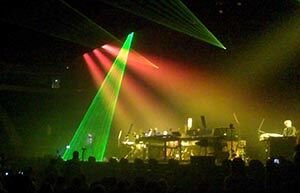 The inimitable Klaus Schulze's Japanese concerts went down a storm in 2010. The good news is the DVD and two-CD set will be released in the US on March 25. Signal Strength's groovy free mobile phone wallpapers have always been popular with downloaders. The great news is we've brought them up-to- date for the very latest mobile phones. The Buzz (and Beep) covers the latest news in electronic music. 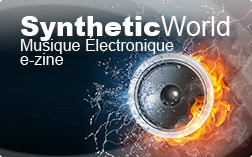 It keeps you up-to-date with artist interviews, tour dates, album releases, the latest and greatest instruments and audio processing equipment, and the occasional zany goings on in the world of electronic music. Tangerine Dream is undoubtedly one of the all-time-greats, a band that's been a leading light in electronic music since the earliest days. 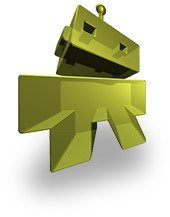 It's something of a testament to their greatness that they're still going as strong as ever. They performed their Gate of Saturn Live Gig at The Lowry, Manchester (Salford) on May 28, 2011. Here's a brief review and photos of the concert. The Maschine virtual groove-box offers all the genius that is Native Instruments but with an added advantage: you can expand it with packs that add, not only fresh sounds, but also fresh rhythmic patterns for you to play with. 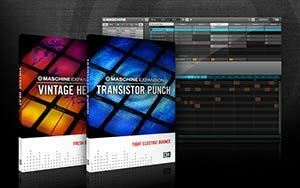 Fresh out of the stable are two such packs, each designed by renowned sound designers: Vintage Heat and Transistor Punch. Not content on simply creating some of the best virtual synths on the planet, Native Instruments also produce a range of audio/MIDI interfaces to complete a musician's studio. 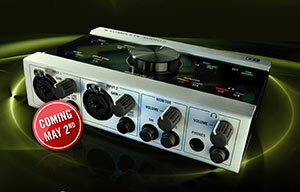 Their new Komplete Audio 6 interface launches on May 2, 2011. 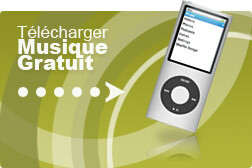 Arturia has done it again and come up with another awesome product. 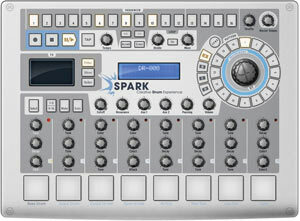 If drum machines and groove boxes are your thing then Arturia's Spark may be just what you need.